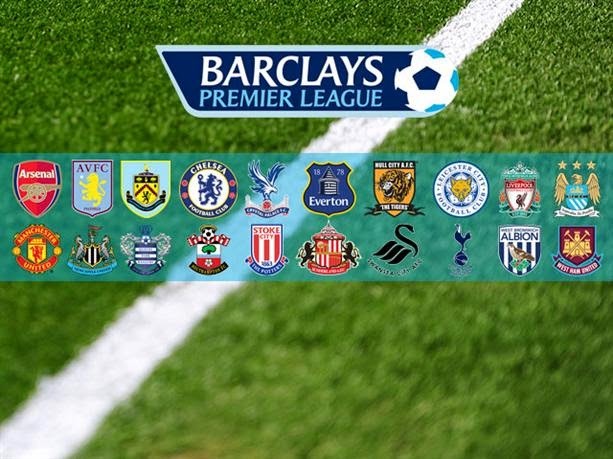 It’s another important weekend of Premier League football as two derbies are taking place on Saturday. Liverpool face Everton at Anfield in a game which both sides will be eager to win after a very disappointing start to the season. In London Arsenal play their rivals Spurs who have also had a poor start to the season after picking up just one point from their last three matches. Arsenal on the other hand sit in fourth position in the table and still remain unbeaten this season after they won at Villa Park on Saturday which will give Arsene Wenger’s side some confidence coming into this weekend. Aston Villa players had a rest in midweek as they have already been knocked out of the League Cup. Chelsea on the other hand faced Bolton in the third round on Wednesday evening and Dougie Freedman’s men didn’t make it easy for Chelsea who just scraped through winning the match 2-1. Kurt Zouma scored his first goal for Chelsea and Oscar scored his first of the season and may well be rewarded with a return to the starting eleven on Saturday. Jose Mourinho’s men will be looking to extend the gap at the top of the table against Villa who have lost four of their last five matches against Chelsea. Diego Costa was rested on Wednesday and will inevitably start the match and very probably score against a defence lacking quality and one that is also missing it’s captain Ron Vlaar. I can’t imagine that Villa will trouble the Chelsea goal either with Agbonlahor and Weimann up front who both have poor goalscoring records. Chelsea win to nil stands out to me as a great value bet as they will almost certainly win this match and Villa struggle going forwards, they have attempted just eight shots on target so far this season despite sitting third in the league. Arsenal played against Southampton in the League Cup on Tuesday which gives them the slight advantage over their North London rivals Tottenham who played against Nottingham Forest on Wednesday evening. Arsene Wenger’s side were beaten 2-1 against Southampton who have made a great start to the season, Englishman Nathaniel Clyne scored their second goal and it was an absolute beauty! Spurs on the other hand progressed to the next round after they came from a goal down to beat Nottingham Forest at White Hart Lane 3-1.This was Tottenham’s first win in five matches and Pochettino will be looking to bring some momentum into this match against Arsenal however Spurs have been disappointing this season and especially in their last League outing against West Brom when they lost 1-0 at home. In Arsenal’s latest league match they travelled to Villa Park and won 3-0 in what was a pretty decent performance from the Gunners and I fully expect them to beat their rivals Tottenham at the Emirates who have failed to get a result in each of their last four visits.